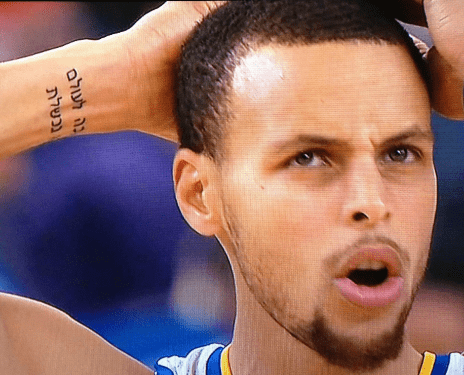 Should You Get a Hebrew Tattoo? - Breaking Israel News | Latest News. Biblical Perspective. Despite a Biblical prohibition against tattoos, numerous people are tattooing their bodies with Hebrew letters. The reasons for this trend are probably as varied as the words and designs they choose. From ancient Egypt to the Philippines and the Andes, tattoos have historically served as permanent markings indicating social status, religious affiliation, and military rank and accomplishments. Women have used tattoos to beautify their bodies. Slaves bore markings that identified their owners. Biblically, the commandment prohibiting tattoos (Leviticus 19:28) alluded to the idea that our bodies are holy vessels and should not be mutilated or changed in any permanent way. However, over the past two decades or so, there has been a marked increase in people getting tattooed with Hebrew letters, words, and even Biblical verses. While observant Jews note the Biblical prohibition against getting a tattoo, ancient commentators had differing opinions regarding this commandment. The Talmud debates whether tattooing God’s name or the name of another deity is problematic. 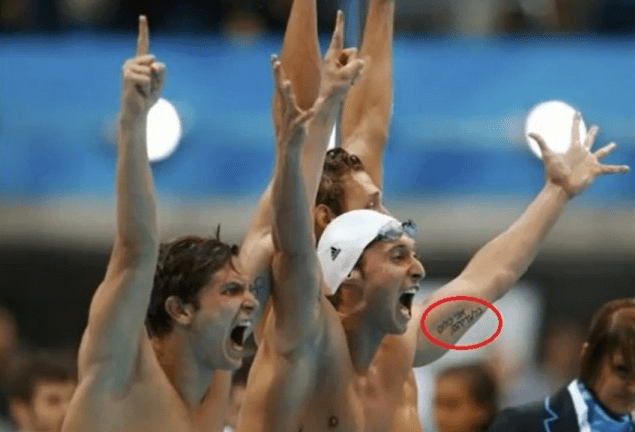 Many celebrities who have gotten Hebrew tattoos have publicly shared various reasons for this phenomenon. Some have rekindled their faith. Others want to connect to the ancient Holy language of Hebrew, the Jewish people, or their culture. 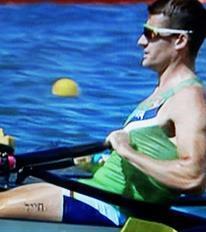 French Olympic medalist swimmer Fabian Gilot has on his upper bicep the words “ani klum bil’adeihem” (אני כלום בלעדיהים), meaning, “I am nothing without them”. In an interview with Tablet, he said the tattoo was in honor his grandmother’s husband, Max Goldschmidt, who survived Auschwitz during the Holocaust. American actress Génesis Rodríguez has a “hamsa” (mystical hand) tattoo, which symbolizes protection against the evil eye, covering her entire foot. In the middle of the design appears the Hebrew word “chai” (חי), which means “life”, in the center of a Jewish star. 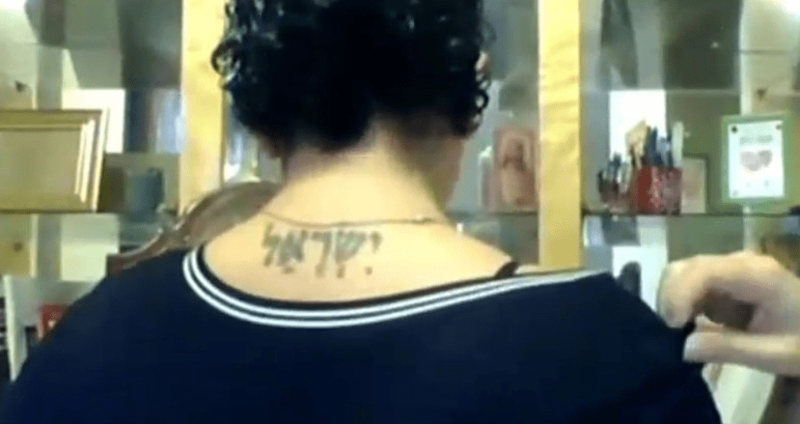 Sandra Solomon, a former Muslim who converted to Christianity, tattooed the Hebrew word “Yisrael” (ישראל) – “Israel” on her back. Born in the Palestinian city of Ramallah, raised in Saudi Arabia and presently a resident of Canada, Solomon (not her birth name) is the niece of Saher Habash, one of the founders of the anti-Israel Fatah party. Today, she is a public advocate for Israel. Roni Segal, the academic adviser for Israel Institute of Biblical Studies, an online language academy, has advice for all the famous and not-so-famous people interested in getting a Hebrew tattoo. “Before you permanently engrave your body with letters or words from the Holy language, it is probably a good idea to study that language and gain at least a basic understanding of the Hebrew language,” she suggested. 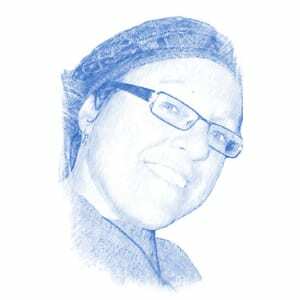 To learn Hebrew online, please visit here.